At the hospital, Bongi asks after Anna and is relieved to hear that she is doing all right. 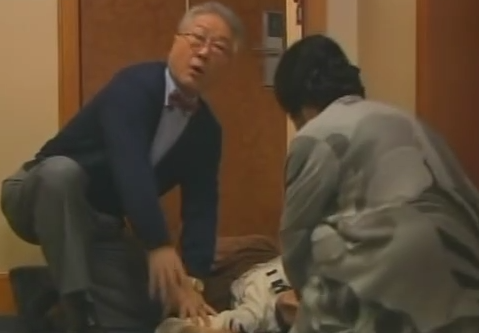 Donghae comes rushing in and Bongi goes to apologize, but is knocked down in his rush to see his mother. In the room, Donghae goes up to Anna and asks what happened to Do Jin. Do Jin apologizes to Donghae for the gross oversight and says that the Camellia will pay the hospital fees and Anna will stay free of charge as well. Back at the hotel, Pil Yong and Mal Sun wonder if Anna is doing better now and Mal Sun recalls that Dong Baek (their missing daughter) was allergic to peanuts as well. She remembers how frantic they were when she stopped breathing. Mal Sun then says that Dong Baek would be about Anna’s age by now. They start putting two and two together. Back at the hospital, Donghae is upset by what he feels is not enough on the hotel’s side as his mother almost died, but what can the hotel do other than what they are already doing? 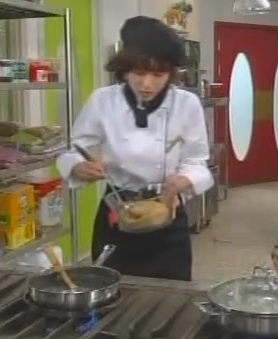 Bongi comes in at this and hears Donghae request that the chef who made the porridge be fired. Yeah. What a way to end the episode.